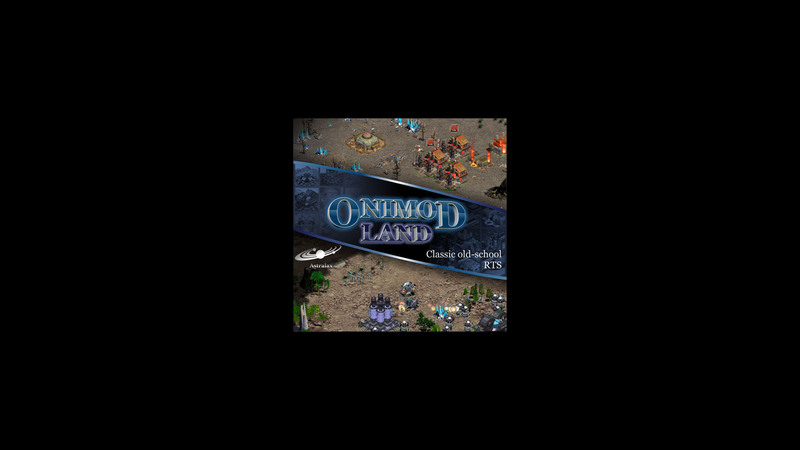 Onimod Land is a real-time strategy leveraging an isometric 2D graphics style with 5 campaigns and 30 single maps. Players can compete against one another using local networks or internet servers. In multiplayer mode players can form political alliances with other players and exchange resources with their allies. Additionally, there is a variation where several players may control the same team. The player may choose one of two races: aborigines (Botsana) or space colonizers (Onimod). Each race has its own skills. The Onimod race has 3 ways to evolve. Each level of evolution gives them unique new units. According to the game story, Onimods try to colonize a planet inhabited and protected by the local inhabitants. Aborigines have physically strength, magical powers, and can control animals. Space colonizers have weapons, military robots and science. Onimods obtain buildings using pre-constructed containers from their space base versus constructing them from raw materials. The AI is smart: the warriors help their colleagues nearby, aboriginal workers repair buildings automatically, and magical units under duress will cast spells without player intervention. The speed of the game is quite fast. The difficulty of the game is controlled by the number of enemies and political alliances. The AI plays “honestly”, i.e., it does not give itself resources or spy on other players. Additionally, the game has a map editor. You can download free demo version of the game. Free version is fully functional but has some restrictions. If you want to play without restrictions, you have to buy Registration key. or you can use e-mail.